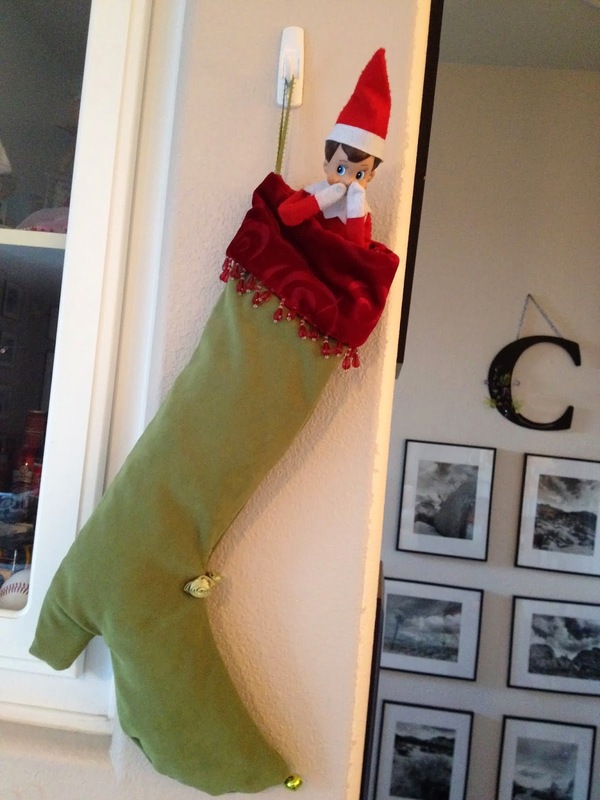 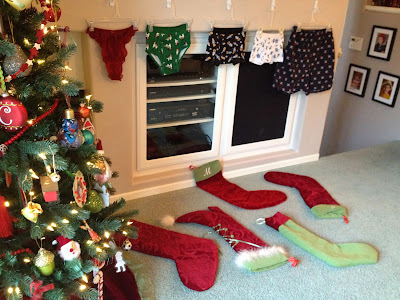 It's only been a few days since we hanged our Christmas stockings! Charlie has done it again! 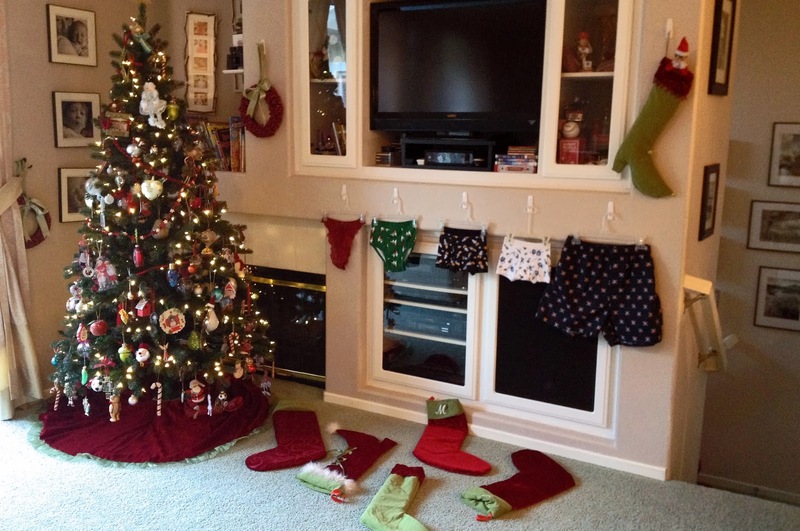 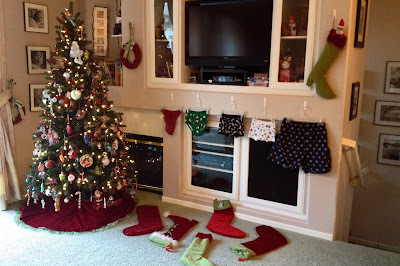 He dropped all our stockings on the floor, and hanged an underwear for each of us. 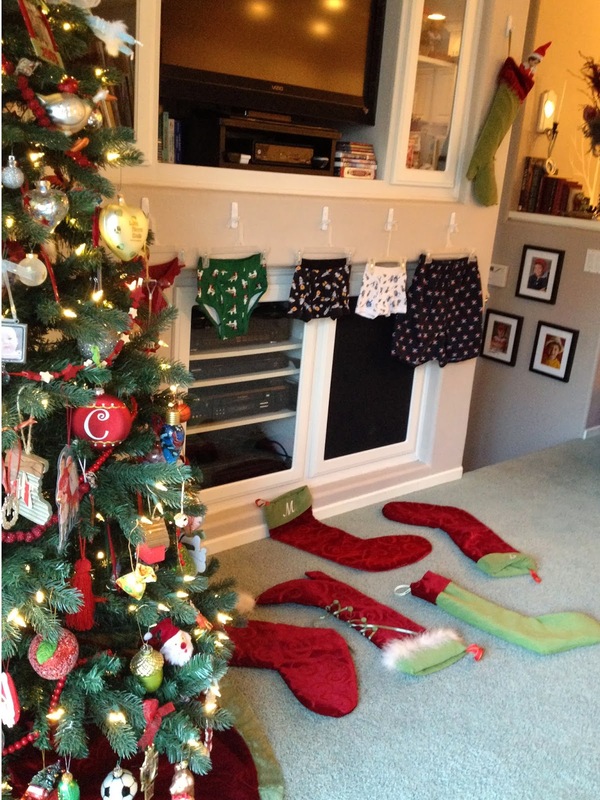 I would say this has become his signature mischief move every year. We don't mind it at all as we gain a brand new underwear!